Call 1-800-450-5319 to discuss your upcoming shipment to Kazakhstan or fill out our form for a FREE quote from A1 Overseas International! Since Kazakhstan is a flourishing city, convenient public transportation has been established, but having your own vehicle available is a more reliable alternative. In order to get your car transported overseas and into territory, make sure to contact A1 Overseas International. They will be able to help you plan a ship date and provide excellent service. Most people do not think to transport their own vehicles or they avoid it because it seems like to much of a hassle. In all actuality, the process can run very smoothly and A1 Overseas International get you up to speed on how the process works. No matter what country you plan on visiting, you will need to keep all of your documentation in a safe place to avoid issues with customs officials. Sometimes, if the car is to new or to old, your vehicle will be prohibited from entering a country. In some cases, if you have not owned the vehicle for a certain amount of time, your vehicle might not be eligible for international transportation. 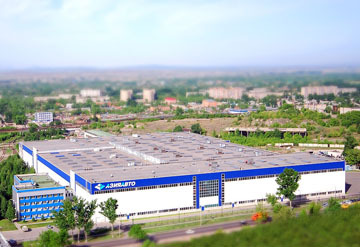 Missing important documents such as the title and registration will prevent you from getting your vehicle delivered to Kazakhstan. If your vehicle meets all the right qualifications, A1 Overseas International will not have a problem importing the vehicle. Prior to shipping, you will need to prepare your vehicle in order to avoid causing an accident during the shipping process. Things such as leaks or an inoperable vehicle will pose problems for you of course, but your shipping professional is not obligated to pay for damages caused by negligence on the customers end.